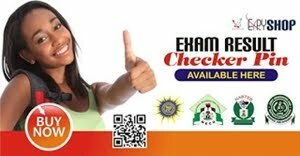 Share Expy Multimedia: DV lottery Frequently Asked Questions and Answers. What is DV Green Card Lottery or Diversity Immigrant Visa Program? This is an official program to issue 50,000 LPR visas through the lottery. This is program is meant for to maintain the immigrant ratio to USA to keep diversity ratio. This program is officially operated by the Government of the USA. What are the requirements to participate in this DV Green Card Lottery? You must come from an eligible country; Your must have successfully completed elementary and high school education of 12 years or within the Last 5 years you must have two years of work experience after completing 2 years of education/ training to perform the job and that job must be accepted by the U.S. DOL. If I was born in an ineligible country, can’t I participate in this Visa lottery? You can participate if one of your eligible parents was in an ineligible country at the time of your birth or if your spouse comes from an eligible country then you can claim her eligibility. What is PR or American Green Card? This is an Identification Card issued by the American Government for a person to Live and work legally in the USA. The Person has all the rights of a citizen except that he can't vote or hold certain Government jobs. Who operates this Diversity Visa, Green Card Lottery? Diversity is operated by the US Kentucky consular section annually under the guidance of the U.S State department. Does plenty people Apply for this visa lottery annually? Yes, normally Between 10 to 13 million people used to apply for this visa lottery program worldwide, although the lottery is conducted regionally when selecting winners. In the DV 2009 nearly 9.1 million people did submitted their entries. How many winners will be selected for this Green Card Lottery? Normally 55,000 Visas will be issued for the year 2012 to use. Although 5,000 visas are reserved for NCARA's reserved people. 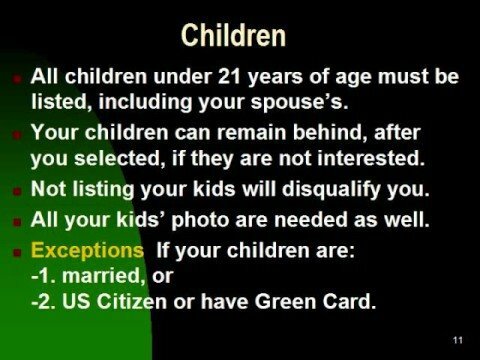 Is there a minimum Age for this year Green card Lottery to apply? No, although the education requirement will make an applicant to be more than 18 years. How many applications can I submit for the DV, the Green Card Lottery? Only one entry for a person will be allowed for DV. If submitted more than one entry, all the entries will be rejected regardless whoever had submitted them. Can an Immigration advising company submit application for the Lottery for me? 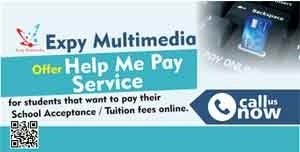 Yes, although you personally can submit it or an agent like Expy Multimedia can submits it, both entries will have the same chance of winning the lottery. Last year myself applied for the DV Green Card Lottery, can I apply for this year lottery again? Yes, every year you can submit one U.S visa lottery entry till you win. Do I need to include my spouse and children? Can I enter for this visa lottery if I am staying in the USA? Yes, if you are eligible you can apply for this American PR visa Lottery, or you can apply for others like your relatives or friends who are in other countries. If I am selected for the DV Lottery, how will they inform me? The DV lottery allows the applicants to check their status online with their confirmation number to see whether they are selected for further processing. I am not fluent in speaking English. Will this disqualify me at the DV Lottery program interview? i got DV 2014 but my first application form is something problem in my place of birth and date of birth what can i Do? You mean you have made a mistake of the forms regarding your place of birth and date of birth if I got you right? Have you submitted the forms already? If yes then you have to contact the KCC to notify them of the mistake and ask if you are suppose to fill new set of forms and re-send to them before its too late. Given the wrong Date of Birth in the electronic application will most likely ending in a denial of the visa. Those requirements are used to prevent fraud. They will suspect you send duplicate entries with different date of births. Either you have to prove you used only one entry (there is no way to prove it), or your personal data, issued BEFORE the notification was printed, should match the electronic form. Please, (1) I have a case number 2014AF00007XXX and I have submitted the completed forms (DS and DSP) for further processing, when do you estimate my case will mature for me to get a schedule for interview? am 2014 dv winner and i have got an appointment letter from KCC on Jan. i finished medical,police and all my documents are ready . but am a little bit worried. why is that? I won the dv2014 and the dat of birth in my waec certificate is different from that registered in my forms, though it's just a years difference. my form is containing 1985, wile the waec certificate is containing 1986. what do i do????? Yes you can process your visa from your current country. However, if you apply as a family and your family members are not with you there, it may make most sense to return to your home country and process the whole family's green cards together through the U.S. consulate there. Processing your application there when your family is abroad will mean that your family members must wait to process their green cards until USCIS has approved your adjustment and notified your home country consulate. Hi, At the time of filling eDV I did a tiny spelling mistake in my child last name, I wrote "fraghally" instead of "Faraghally" so I missed "A" letter so I corrected it in DV-260. Also when I wrote my address in eDV, it did not have much details then I updated it in DV-260 with more details. 1-Does the missing letter in the last name of my child make any issue even after I corrected it in DV-260 ? 2- Can I add details of my address in DV260 or write exactly the same address I filled in eDV without change ?